Two hours was the audience expectation for the performance of an Elizabethan play. It was the average length of a performance, and just long enough to allow the audience to leave and get home before darkness fell. Making one’s way home through London in the dark could be a dangerous thing so those who produced plays took that into account. Romeo and Juliet falls nicely into that average length bracket. In fact, however, modern performances of the play take three hours. There are three thousand lines and the rule of thumb in modern theatre is a thousand lines per hour. Modern productions make a great deal of the swordplay, for example, where time passes without words, which may not have been the case in Elizabethan performances. Then there is Capulet’s party, where modern producers can’t help showing the spectacle of it. Perhaps the Elizabethan theatre productions didn’t do that. And maybe the Elizabethan actors spoke faster. We don’t know. What we know is that Elizabethan performances lasted about two hours. 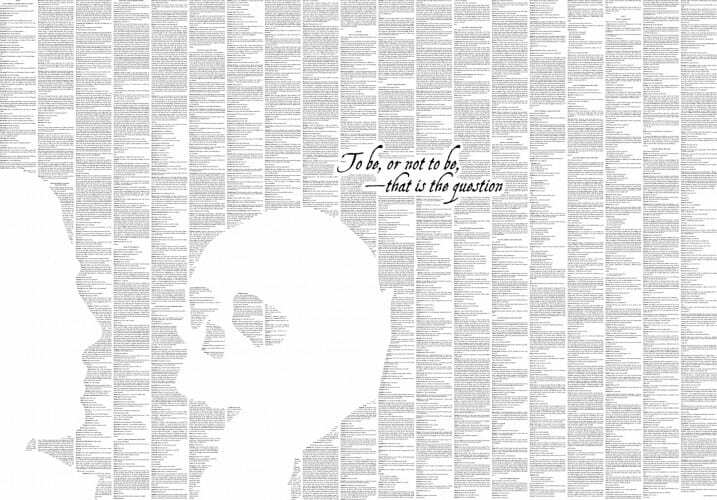 Hamlet is quite a bit longer than the average, and at 4,000 lines it is Shakespeare’s longest play. If you go to a matinee performance of Hamlet starting at 2 p.m you’ll be sitting (or maybe standing with the groundlings at the Globe) until 6 p.m! Even in the Elizabethan theatre it would have taken three hours. Hamlet is Shakespeare’s longest play. Why did Shakespeare launch such a long play knowing that it would stretch audience attention limits? It’s possible that he couldn’t make it any shorter, considering how deeply he was exploring, and that he felt that it would hold the audience’s attention and make them forget about the dangers that lurked as they made their way home in the dark. And he was right. Four hundred years later Hamlet is still his most performed play, and still regarded as his greatest. In that play he goes very deeply into the human soul – deeply deeply – in a way that has never been done by any writer either before or after him. It is a long play but it holds audiences spellbound, and when the curtain comes down they walk out into the fresh air having experienced something very special.